Which is more important: having a dog, or the ability to marry the town drunk? Lionhead really wants to know. 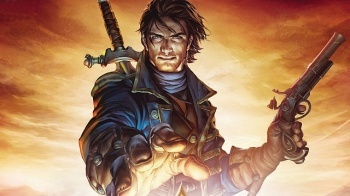 Lionhead wants to know what you're thinking, or more specifically, what you're thinking about the Fable series. In order to find out what parts of the Fable games people liked, and which they didn't, Lionhead has set up a survey and is entreating people to spend a few minutes filling it in. The survey asks people to rank thirteen gameplay and story elements from the Fable series in order of importance. The list includes things like being accessible to players of all skill levels, hero customization, player freedom, and the ability to make choices that affect the world. Lionhead even gives people the chance to rate how important having a dog - which has been a staple of the series since Fable 2 - is to them. It also asks which of the Fable games people have played, and which was their favorite. It's the sort of thing a Fable fan could obsess over for hours, as they try to decide if they think that the humor is more important than the hero morphing effects, or if the lore wins out over the simulation aspects. Hopefully though, it should net Lionhead some useful data that it can put towards making Fable 4 - or whatever the next game ends up being called - the best one yet. If you want to have your say, mosey on over to the Lionhead site.